With the project now at its midpoint, the HWU team (Wallace, Mukerjee, de Moraes, Emambakhsh) joined the others at the British Motor Museum in early 2018 to explain and demonstrate the sensors and algorithms that process low THz Radar, Optical Stereo and LiDAR data acquired from a suite of sensors mounted on a Land Rover vehicle to map the landscape and recognise other ‘actors’ in the scene, such as pedestrians, cars, bicycles or even animals for on- and off-road scenarios. 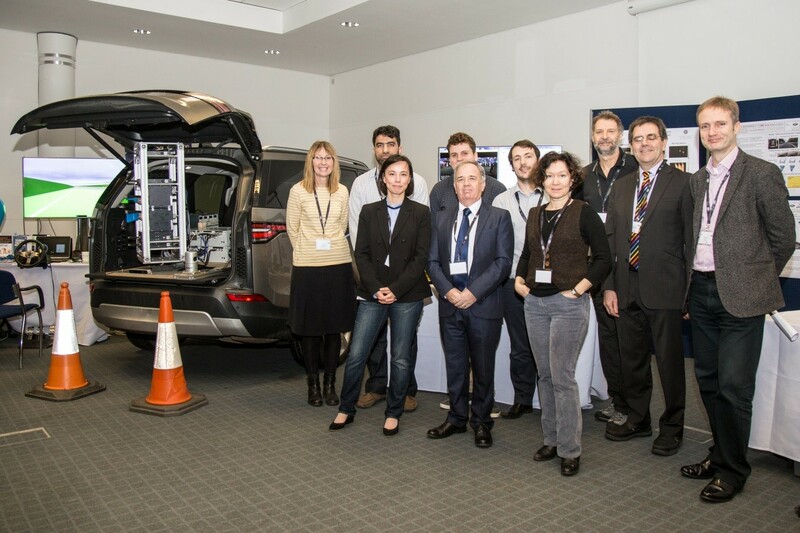 At the Sharefair event, organised by Jaguar Land Rover and held in the British Motor Museum in Gaydon, the team demonstrated some of the potential solutions to the above problems. First, new low THz radar technology coupled with synthetic aperture and time difference of arrival techniques can improve markedly the radar spatial resolution. 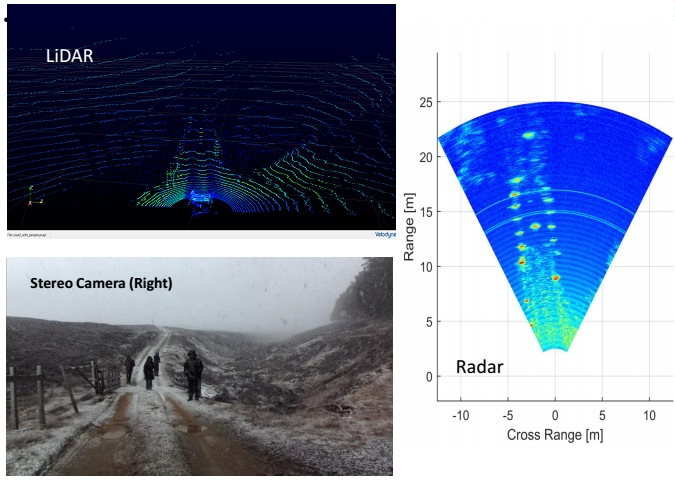 Selective full waveform processing of Lidar can, potentially, find the actor through obscuring weather by selective depth filtering. Statistical and neural network solutions can be used to perform sensor fusion for scene mapping and actor recognition in all sensor modes, and we are looking at how information may be shared or “transferred” between the different modes in a supervised learning paradigm. Feedback at the fair was very positive, and members of the audience also raised issues of power consumption, in particular how sensors and algorithms can be tailored to the new energy efficient electric cars that should be coming off the production line in the near future. Hopefully, we can continue to address these related problems.